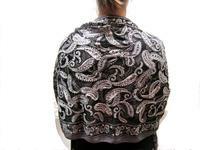 'Sheer elegance' is the phrase that best describes this hand beaded charcoal grey paisley patterned evening wrap. 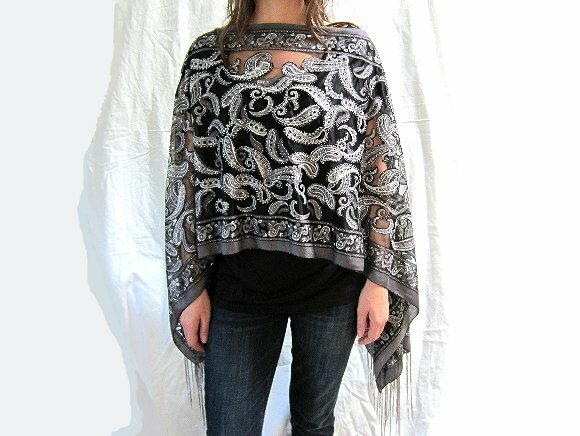 The evening wrap may be worn as a poncho (on or off the shoulder) or a shawl; At 65" long -- not counting the fringe -- you'll have no trouble tying the ends behind your waist to wear it as a bolero. 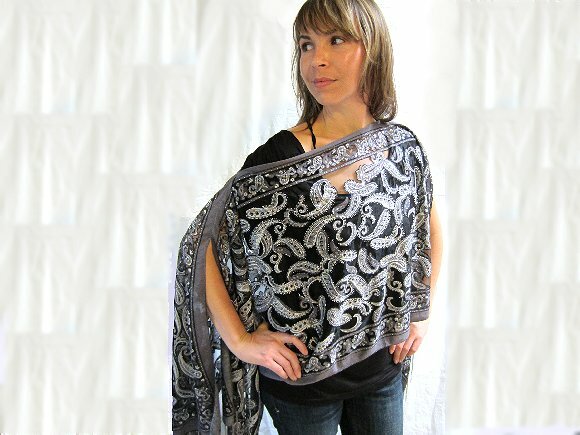 Measuring 20" from its neckline to bottom hem, the evening wrap is made of an easy care cotton/poly blend fabric. 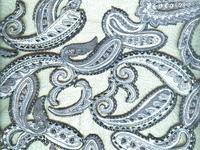 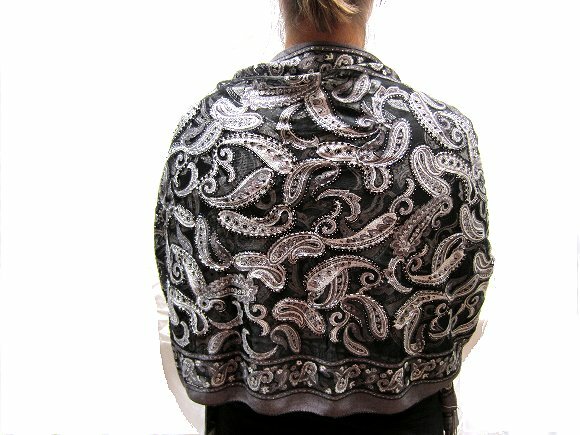 I've beaded around the paisley patterns down the front using black and iridescent clear bugle beads. 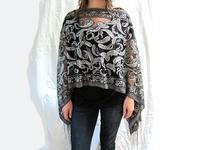 The result is an evening wrap that's as elegant as it is versatile. 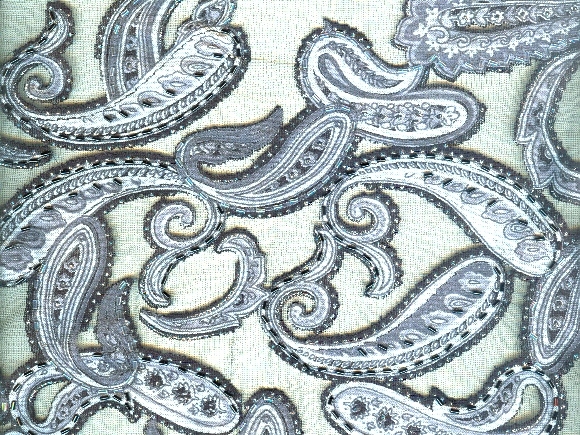 It's a one of a kind fashion piece from SPARKLE PLENTY, of course.